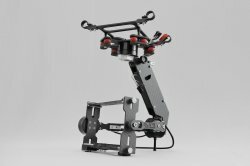 The InfinityMR-S2 is a lightweight, powerful 3-axis gimbal The use of an AlexMos Gimbal controller with encoders offers the best quality stabilization. The gimbal can easily handle cameras the size of a Sony A6500 cameras and the like. record, tape. Thanks to its optimized design and high quality materials, it is only 560g light. A built-in slip ring connector allows for clean cable routing and saves extra weight (since you do not need to use a separate battery only for gimbal). 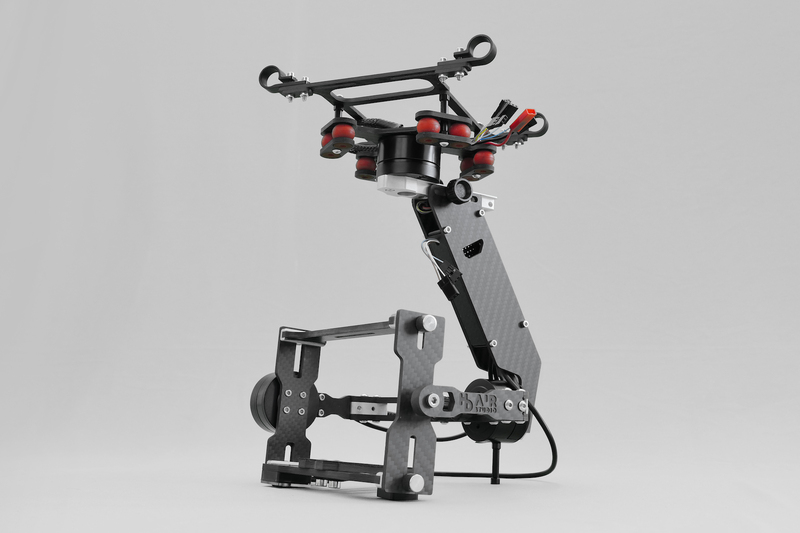 Use our CamCtrl for triggering and our GimbalCtrl for exact control / evaluation of the gimbal. NOTE: This item is normally not on stock. Please contact us for exact delievery time before ordering!